Most people who have ever searched for a home are familiar with the MLS or Multiple Listing Service. The MLS is a regional database where real estate agents and brokers pay to list properties for sale. The MLS is by far the best way to get exposure for a home, mainly due to the fact that most regional MLS companies syndicate their listings out to hundreds or thousands of websites. 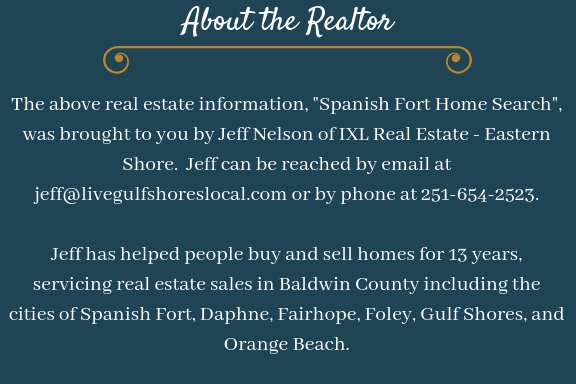 For Spanish Fort, our regional MLS database is run by the Baldwin County Realtor’s Association and supplies all local sites that offer home searches. 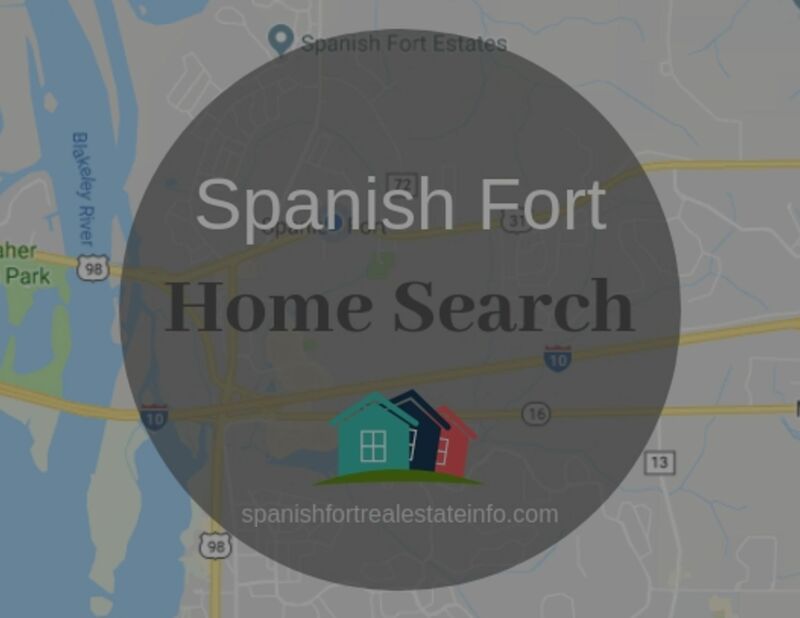 Because the main focus of this website, spanishfortrealestateinfo.com, is to highlight real estate and community information for Spanish Fort, I wanted to share with you all of the ways to search for homes on this site. This site of course is supplied with listings by the Baldwin County Realtor’s Assocation. But, you are probably here because you are considering the purchase of a home in our great town of Spanish Fort. Below you’ll find the various ways to search for listings that are for sale. This top menu bar is present on every page of the site and will allow you to see active listings directly from the Baldwin MLS. By clicking on the “Neighborhoods” link, you’ll see all of the popular communities in Spanish Fort with a short description of each. When you click on any of the neighborhoods, you’ll be taken to the main real estate page to search for homes in that area. Here you’ll find all of the MLS listings for that neighborhood. All of the properties that are showing are active listings. Finally, you can click on each listing for more details about the home and multiple pictures of the home. If you see something that interest you, simply contact me for more information or to schedule an appointment to see the property. On the right side of the top menu bar, click “Listings Search”. This page will start you off with all of the homes that are for sale in Spanish Fort beginning with the most expensive. However, you can narrow down your home search criteria. Just above the listings, you’ll see……. This is a very simple system where all you have to do is type in the city, neighborhood, zip code, or MLS#. For instance, if you already know that you want to live in Churchill, just type it in then choose it from the drop down. This site is already populated with every neighborhood’s active listings. 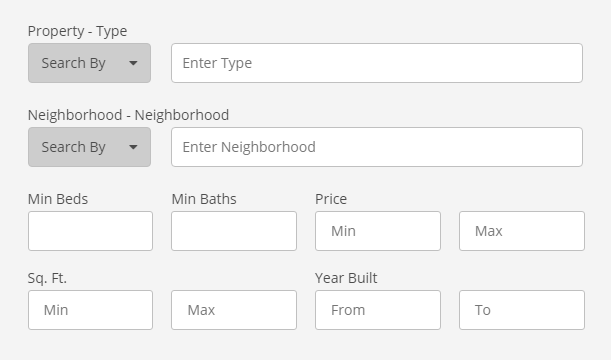 When you click on “More Filters” you’ll have even more options…..
You can get very specific with your home search to see only MLS listings that apply to you. So, if you only want to see homes for sale in Spanish Fort from $200,000 to $300,000, just type the city in, click More Filters, and then input your price. I realize that I’m spelling this out in an elementary fashion but I want to make sure that everyone can easily find what they’re looking for. 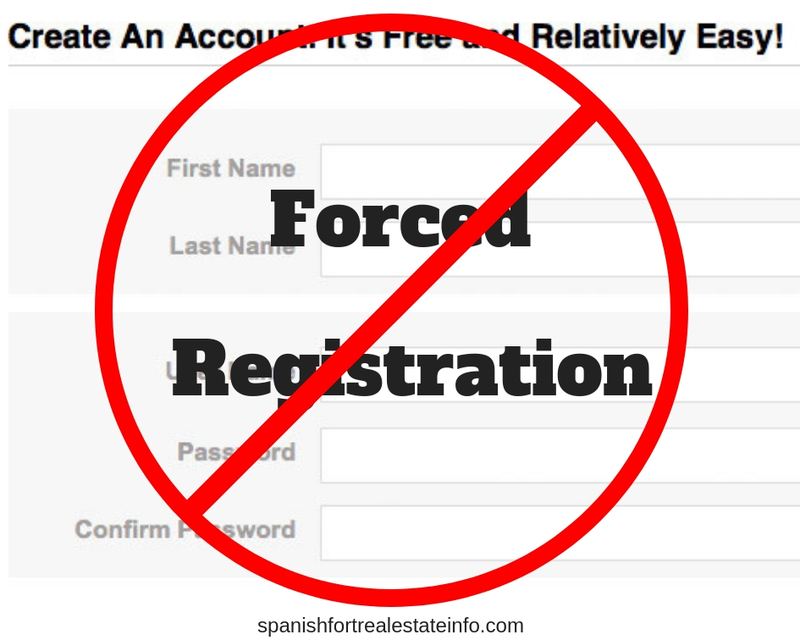 This real estate site is one of the very few that do not force you to register your personal information in order to look at home listings. I don’t believe in it so I turned it off. Please look through all of the home sales, blog posts, and articles at your leisure. I’m a hard working Realtor but I’m not high pressure. When you’re ready to make your next move, please reach out to me and I’ll hit the ground running.